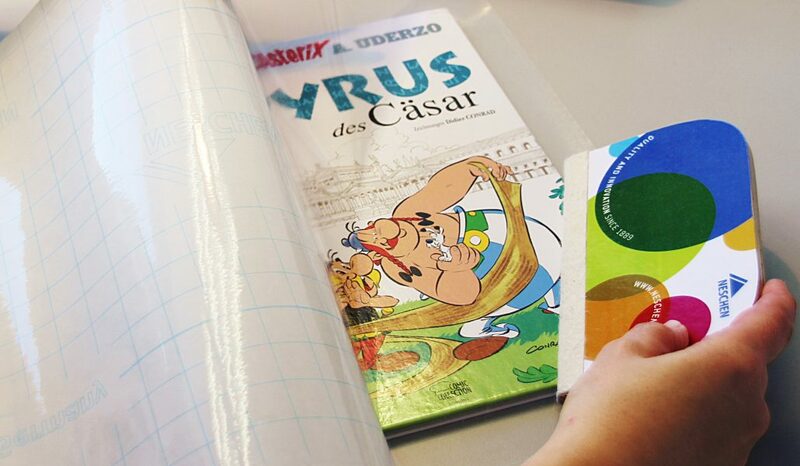 Book protection film for smooth surfaces. Easy application, easy to correct. filmolux® is ideal for smooth surfaces such as paper and glossy covers, brochures, folders, etc. Easy application, little defects can be corrected very well when applying on almost all surfaces. filmolux® is suitable for working with the BLS-Classic and BLS-Professional.